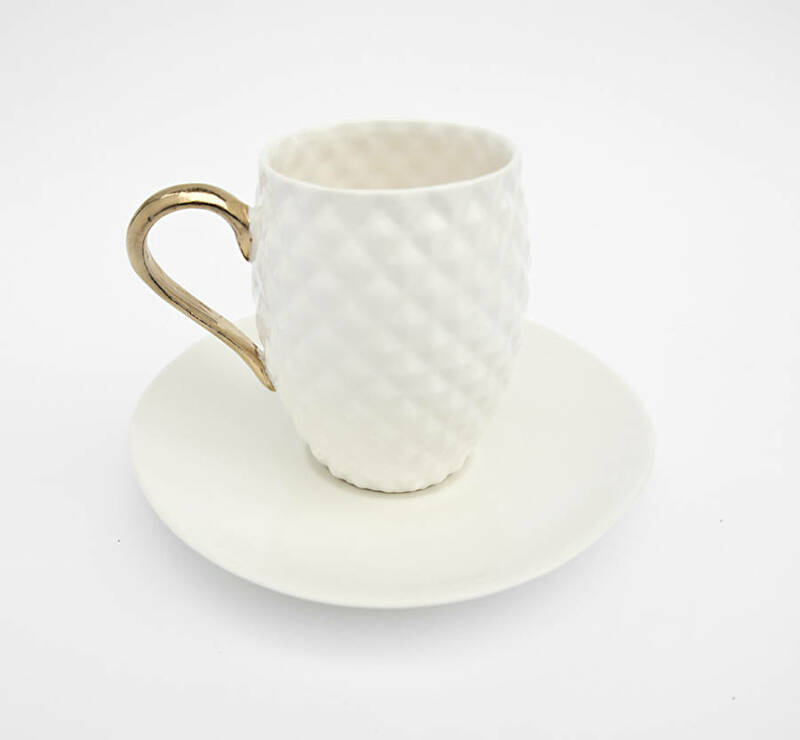 You will love this elegant porcelain handmade cup and saucer. It has simple shape and is decorated with pineapple pattern. 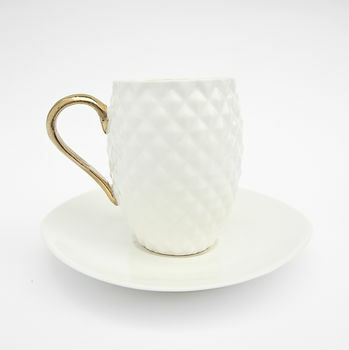 Your guests will be impressed when you will serve them espresso or hot chocolate in it. You will be surprised how comfortable to use it is. 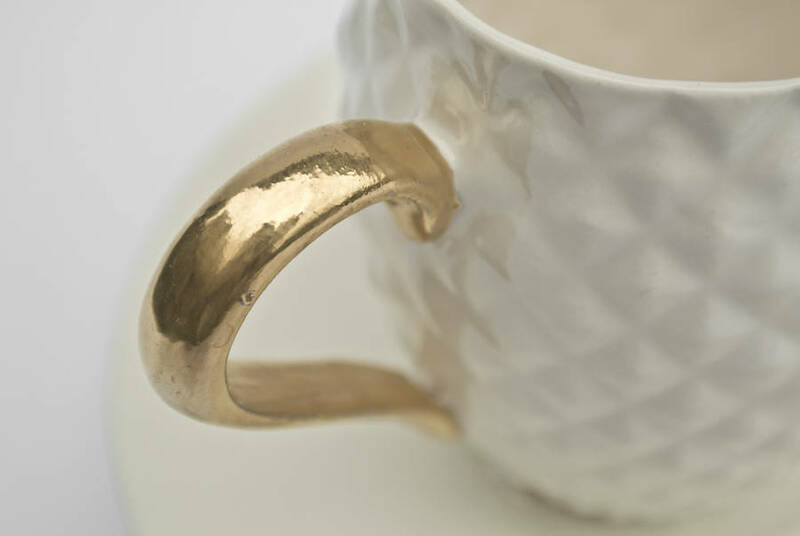 The handle is covered with genuine gold. Exclusive gift for many occasions like birthday, wedding, anniversary or Christmas. We offer free gift wrapping for this product. 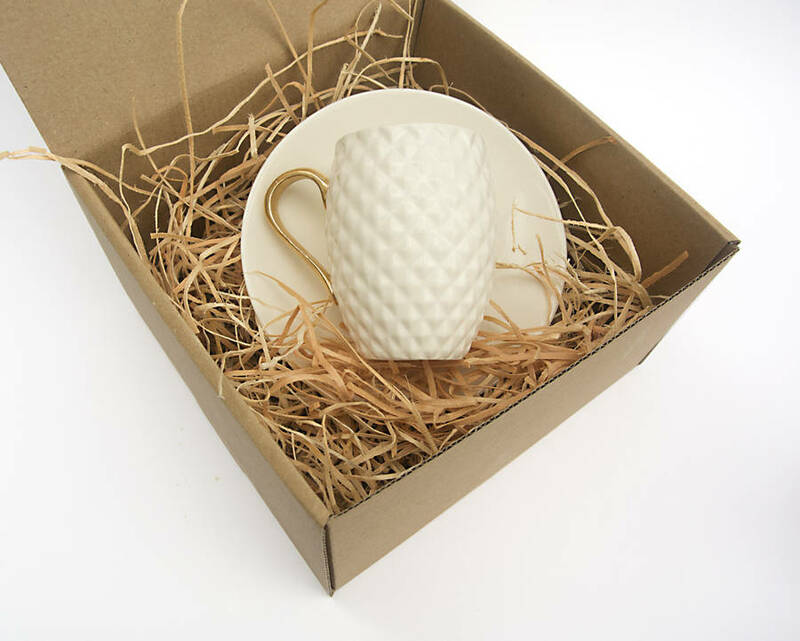 If you choose this option the product will be packed with brown aestethic cardbox filled with dry wood wool and tied with ribbon. 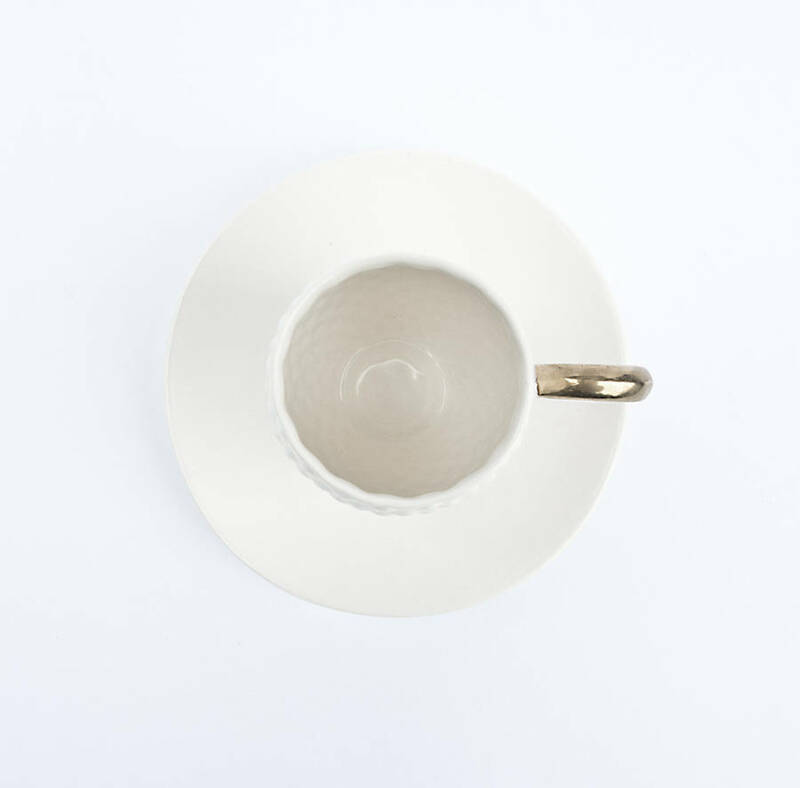 Handmade of bone china, gold.